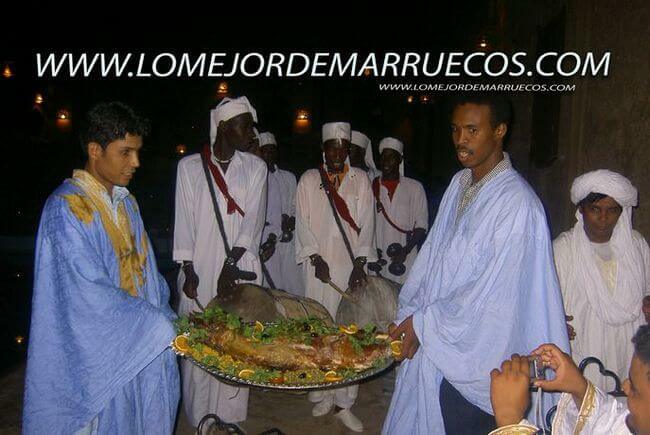 In morocco there are many diverse celebrations throughout the year. They are religious celebrations, national holidays, Moussems or National and International festivals. The religious celebrations do not have a set date; they are mainly governing by the Hegira (the Islamic calendar) which is based on the lunar calendar and that doesn't coincide with the Gregorian calendar. (It is about 11 days short). - Aid el Kebir ou Aid Al Idha. It is the day where we are commemorating the sacrifice of Abraham and eat sheep. 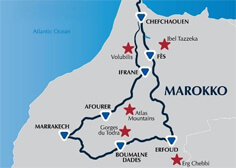 - The independence manifesto - 11th January - national holiday in Morocco. Celebration and presentation of the independence manifesto, claiming the national sovereignty. - Almond Holiday in the valley of Hameln. Celebration of the last days of the month, of the flowering of the almoners in all villages of all valleys. Singing show and traditional dances. - Festival of Moulay Aisaa Ben Driss, in Beni Mellal. - International Festival of the Nomads, in M'hamid. The celebration is divided into two centres: the first one is at 20 km of the village of Beni Mellal, in a special camp built for the day, and the other one in the town centre. It longs four days and welcome artists coming from all part of the world. - Moussem of Sidi Abdallah ibn Hassoun, in Salé. The celebration is a procession that longs between 3 and 4 hours, and consist on carrying candles to the great mosque. - Labour Day - 1st May - national holiday. - Festival of Roses, in Kelaat Mgouna (Dades Valleys). This festivity coincides with the collect of the Roses of Damas. During the festivity you will be able to appreciate dances, singings and a petal of rain. - Festival of Music of the desert, in the region of Tafilalet. It longs one week and the artists come from Arabia and Africa. The music is varied it goes from blues to traditional folkloric compositions. It is celebrated in the towns of Er-Rachidia and Meknes the last days of the month. - TANJAZZ, Tanger. The festivity is celebrated in the last days of May and well known musicians are coming from United States and Europe. - - Festival of Art, Marrakech. - Festival of Jerez, Sefrou. - Festival of Sacred Music, Fez. 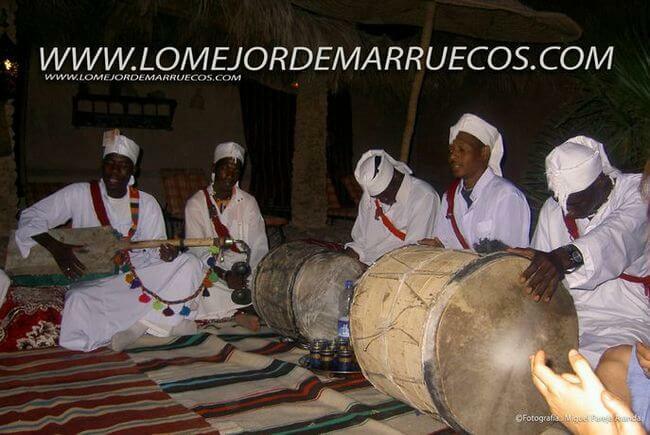 One of the most famous festivity of Moroco.It longs nine days and many shows are free. Artists coming from around the world are participating. - Moussem of the cherries, Sefrou. - Music Festival Gnaoua and ethnics musics, Essaouira. - Moussem Ben Aîssa, Meknes. One of the most traditional moussems. It is the annual meeting of the Aîssoua brotherhood. It longs a few days. - Throne Day - 30th July - National day. Celebration of the rise of the King Mohammed VI. The main festivity is taking place in the palace but there is a celebration in all the country and in each village of the country. - Camel Festival, Guelmim. Turned into a tourist attraction, it has kept the reminiscence of the original festival even if we still dance the Guedra, dance in which a woman moves with the rhythm of the drum. It is seen as an offering to God. - The Honey Festival, Agadir. - Popular Arts Festival, Marrakech. From 14th till 19th July. 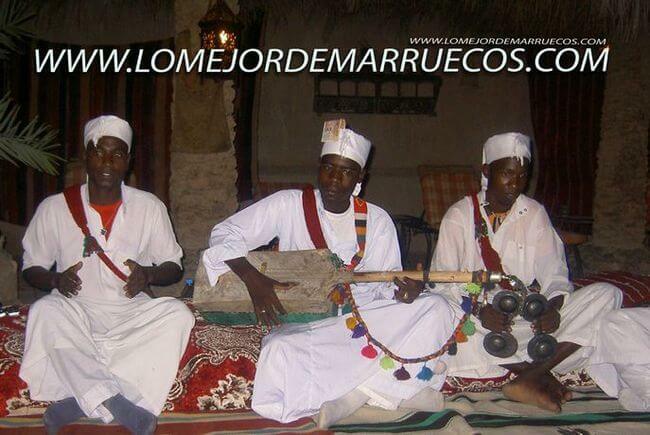 It is an artistic representation with regards to the deep roots of the culture that makes Morocco: Berber music, dance of the Atlas, hypnotic music of the South of Gnaouas, belly dancing. - Montreux Jazz Festival, Marrakech. 28th July. - International Festival of Culture, Asilah. It was celebrated for the last 30 years and a lot of people attend. 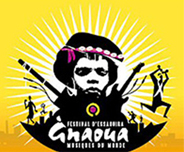 - Festival "joy" in Chefchaouen, where we can find musicians from North of Morocco and from the South of Spain. - Day of Morocco and the King on the 20th of August - National Holiday. Commemoration of the return of the King Mohammed V on the throne due to the rebellion against the King of France and for the freedom of Algeria and Tunisia. - Youth day â€“ 21st August â€“ National day. - Moussem Setti Fatma, valley of Ourika. Length: 4 days. - Moussem Moulay Abdallah, in the South of El Jadida. - Moussem Moulay Driss Zerhoun, in the North of Meknes. - Moussem Sidi Moussa Or Quarqour, near Kelaat-Seraghna, in the North of Marrakech. Procession in honour of the Saint, son of the founder of Morocco and creator of Fez. - Day of the Horse "Fantasy", Tissa. - Festival of Morocco Imichil. This festivity longs 3 days. Traditionally, at this time, young single men and women of the area are gathering around in the hope of finding its soul mate. 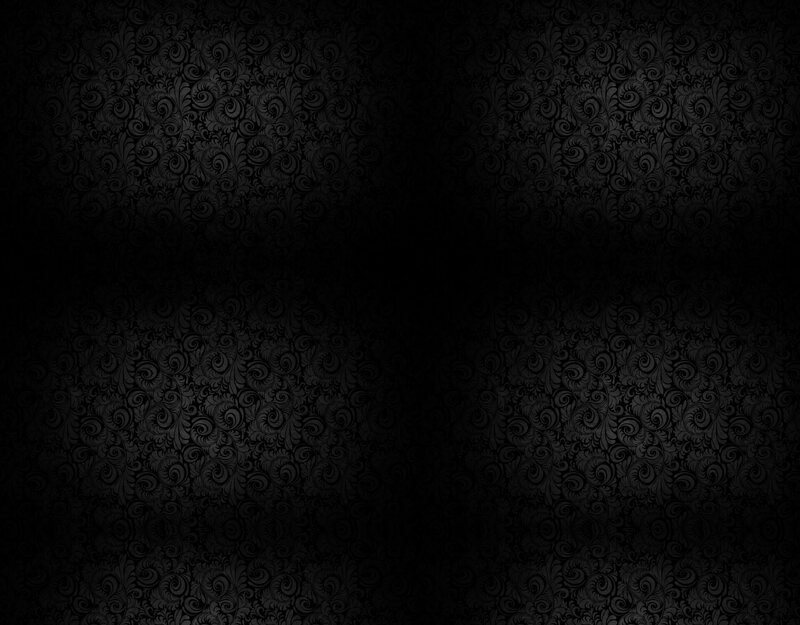 This is the equivalent of our blind date but at a higher scale. Its origin tells that two young persons of different tribes fell in love and because the tribes refuse their love union, they were so sad that it caused their death, this legend then gave birth to the story of Issly and Tisslit. - Anniversary of the green walk - 6th November - National day. - Commemoration of the walk created the 6th November 1975 by citizens and Moroccan soldiers under the reign of the King Hassan II, aiming to invade and annex the Occidental Sahara. - Independence Day of Morocco - 18th November - National Holiday. Commemoration of the day when the King Mohammed V claimed the independence given by France and Spain, the 2nd of March 1956. - International Film Festival of Marrakech, Marrakech. Presentation of more than 100 films for one week. Since its creation in 2001, this festival attracts each year, great figures of Hollywood.